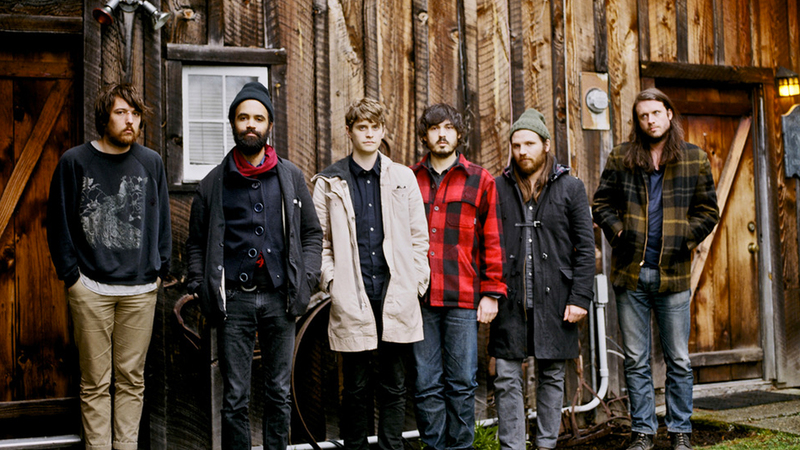 Since their 2008 studio album debut, Fleet Foxes have become folk rock legends in their own right. Their pitch-perfect harmonies and baroque pop sound made fans out of music lovers everywhere, so when they announced a hiatus in 2014, our hearts sunk a little. The Seattle musicians revealed late last year, however, that new music was on the way, which we were hoping would also mean a chance to see them live in 2017. Our prayers have now been answered, as the "White Winter Hymnal" rockers have announced that their first US show in six years will be at Newport Folk Festival on Friday, July 28. Insert party popper emojis. While they are the only headliner on the bill thus far, all passes to the three-day event are already sold out except for single-day tickets for Friday's event. In addition to this sure-to-be-epic Rhode Island performance, the six-piece will also be playing a handful of shows in Europe and the UK beforehand, including Vida Festival in Spain and Iveagh Gardens in Ireland. Check out all their upcoming shows below, then make sure to Track the "Helplessness Blues" creators so you don't miss any future touring updates!